Fortress Of Freedom Board :: View topic - TWENTY6HUNDRED Plays The El Mocambo July 7th! TWENTY6HUNDRED Plays The El Mocambo July 7th! 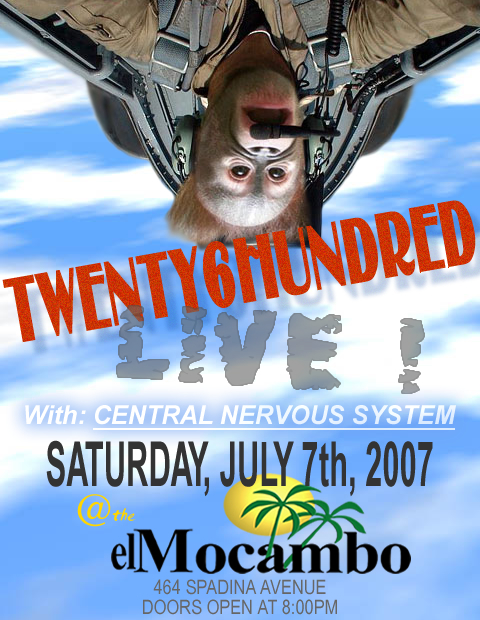 Posted: Sat Jun 23, 2007 12:00 am Post subject: TWENTY6HUNDRED Plays The El Mocambo July 7th!